You will have probably noticed that your water bills continue to rise and you might think that there is nothing that you can do about it. However, aside from sharing baths and not washing your car as often, there is a way you can save water and that is by having synthetic grass installed. Synthetic grass is robust, barely discernible from the real thing and here’s the thing…. it never needs watering…ever. In Perth, because of local water restrictions, this is great news!! Synthetic or ‘fake’ grass is now so natural looking that it is a more than an adequate replacement for a real ‘high maintenance’ lawn. Not only is it weather resistant and durable enough to last some 15-20 years, but it is also UV resistant, meaning the colour will not fade after a couple of hot summers. 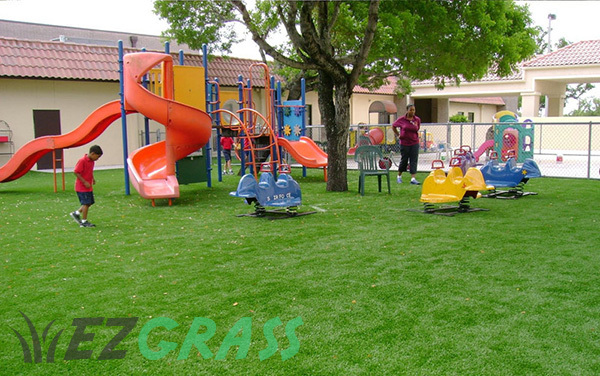 The synthetic blades are set into a rubber base and treated with sand, so that the grass feels naturally soft underfoot. Its unique and technologically advanced structure means it doesn’t absorb heat, so you’re not going to burn your bare feet on a hot day. The best bit about these benefits, is that you not only don’t have to water your synthetic lawn, but you also don’t have to mow or weed it. A job that is much quicker to say than it is to do! So, how does synthetic grass save me water? We’ve covered it already, but it does warrant another mention. The amount of water you use to keep a real lawn green and lush can be staggering. Especially during the hotter spells. 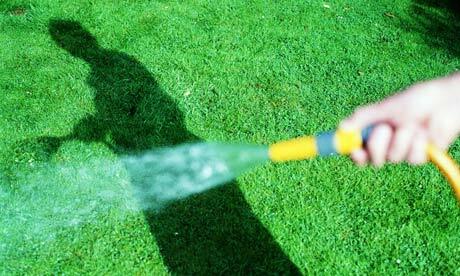 In addition to the cost benefits of not using as much water, if there is a water shortage and a hosepipe ban is put into effect, you’ll be the only one on your street that doesn’t have slowly browning grass in their garden. How much money can it actually save me? Working on a typically sized garden of around 50 square metres, it will take on average 30,000 ltrs of water in a 12 month period to keep a lawn nice and green. The hotter the climate, the more it will cost you. This equates to around $200 annually. Within a couple of years, your synthetic lawn will pay for itself. Its an important point to note also, that this is based on water prices today. When water is in short supply, that cost can rocket. So, it’s a no-brainer really. Save lots of time and money and buy yourself a synthetic lawn! Although it rains a little more in Victoria, we still think it’s an amazing time saver to get artificial lawn. 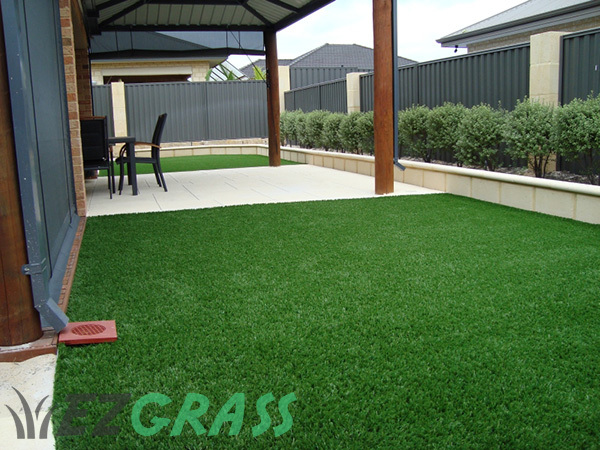 Our new Melbourne synthetic grass installers can help you find the perfect solution for your backyard.